By Charlie Jane Anders and Katharine Trendacosta. Netflix is a crapshoot. Your local movie theater is a garbage scow. Most movies barely manage to be so bad they're good. But what's really annoying is when you can just see how a movie could have been decent. Here are 10 films that really could have been good, if you just changed one thing. This film had a script by MST3K writer Bill Corbett and Frasier writer Rob Greenberg, and a seriously cute concept: a crew of tiny little people comes to Earth in a spaceship, which is disguised as a human. Who just happens to look like the captain of the ship. Yes, sort of like the Tesselecta from Doctor Who. It could so easily have been hilarious. The one thing you gotta change: Get rid of Eddie Murphy and replace him with a comedian who's bringing his (or her) A-game. Someone who can really invest in the concept and bring out the inherent potential, instead of coasting on lazy jokes. This is a movie based on a cartoon about a squad of superheroes who all wind up with pets, including a ninja who gets a wolf that saves him from Arctic radiation exposure. It was always going to be silly, and this film mostly just surrenders to the camp. Joseph Gordon-Levitt is pretty much dialing the camp up to 11. At one point, someone yells "Release the sharks!" Also, at one point, breaking an iceberg into smaller pieces causes ice to sink. The one thing you gotta change: Cut out the scenes where the film attempts to be all serious about the past relationship between Duke and the Baroness. Edit out all the attempts at drama, and you've got a movie that's just nonstop ridiculous fun. 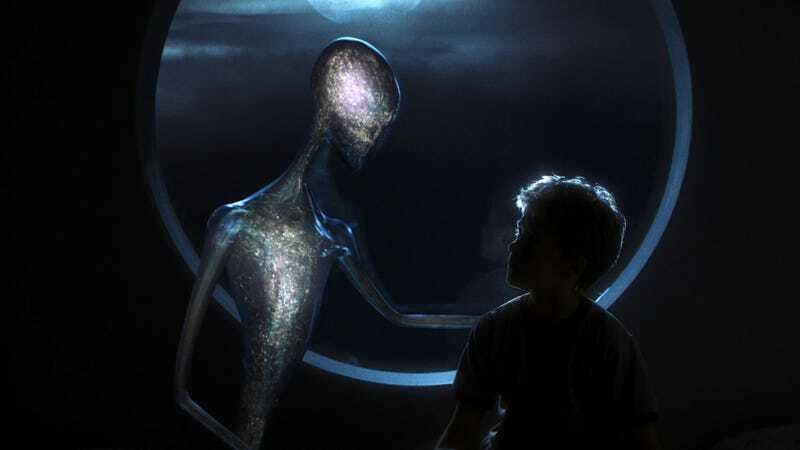 Stephen Spielberg attempts to finish this Brian Aldiss adaptation that Stanley Kubrick started, and the result has a lot going for it, including gorgeous imagery and a dark storyline about a robot boy who can never have his true desire. Until the ending, when it kind of collapses under its own weight. The one thing you gotta change:Cut the last 20-30 minutes, basically the whole coda after the kid goes into the ocean. Remove Spielberg's attempt to tie everything off with a nice bow and give the movie a contrived fairytale ending, and you've got a great film. Something similar could be said about Minority Report, in fact. The first half of this movie is fantastic, just a brilliant thrillride. And the second half still has a lot going for it, including some fun action sequences, and Angelina Jolie going rogue as only she can. But it kind of goes off the rails, around the same time that train does. The one thing you gotta change: Get rid of the magic loom of fate, and the whole wacky concept about these assassins killing people who have been fingered by God or whatever, and get back to something more like the original comic book's concept of a victorious society of supervillains. This is another movie that is great for its first half, and then starts to fall apart — and the ending is just kind of random and terrible. The best thing you can say about this film's theatrical ending is that it spared from an unnecessary sequel. The one thing you gotta change: Restore the original ending, from before the studio got cold feet because some test audiences somewhere couldn't quite wrap their heads around it. You can see the original ending on the DVD, and it automatically makes the whole rest of the film way better. Speaking of test audiences ruining a film... this is another one where apparently the studio forced the director to recut the film and do reshoots, to emphasize the romance between Ben Affleck and Jennifer Garner, and de-emphasize the actual point of the movie. The theatrical release includes a scene where Daredevil ignores people in trouble, so he can keep making out with Elektra. The one thing you gotta change: You'll never get to see director Mark Steven Johnson's original version, but the "Director's Cut" DVD (which we haven't seen) is as close as you can get, and according to IFC it's actually quite decent, although it's still let down by the Matrix-wannabe cartoony action. There are a lot of things wrong with this film version of Philip Pullman's His Dark Materials, but there's one huge problem that it would have been relatively easy to sort out. The one thing you gotta change: Restore the downbeat ending of the novel, instead of the upbeat ending the studio insisted on. And while you're at it, get rid of the ponderous voiceovers. Apparently there was a screenplay by Tom Stoppard (Tom Stoppard!) that was closer to the novel — but also, by all accounts, director Chris Weitz actually had a script that was excellent, better than Stoppard's, until the studio intervened. Richard Donner's first Superman film was a mostly terrific take on the Man of Steel, with tons of heart and insight into how Clark Kent's early experience of loss makes him into a noble, self-sacrificing hero. And Donner was filming Superman and Superman II back to back, until he was sacked by the producers. The resulting version of Superman II was... underwhelming, despite some good bits. The one thing you gotta change: Let Donner finish making Superman II, which he was already 75 percent of the way through. True, the "Donner Cut" that's out on DVD isn't exactly perfect, but we have faith that if he'd actually gotten to finish the movie at the time he would have come up with something that measured up to his first outing. Maybe there never could have been a good Indiana Jones movie, this long after Last Crusade, when everybody involved has sort of forgotten what made the character work. But there are some obvious, major flaws with this film that could so easily have been avoided. The one thing you gotta change: Use the Frank Darabont script, which Spielberg reportedly liked but George Lucas random decided to veto. According to the book Tales from Development Hell by David Hughes, Darabont's version doesn't have Mutt, Indy's son, nor are there big spiders or a lot of the other ridiculous sequences from the final movie. On the other hand, there's still fridge-nuking and the ending is sort of similar. So you'd still need to take a heavy hand to it. This film replays on cable TV a lot, and it's actually better than we remembered — the Bartertown sequences are mostly pretty decent, and the first half is largely pretty good, despite Max's weird mullet. The one thing you gotta change: Get rid of those kids. The movie just sort of goes to pot when the little kids rescue Max. There shouldn't be an army of little kids in a Mad Max movie.